Detailed Info Page for 3C33. Follow this link to the DRAGN page for 3C 33. From: Kraft et al. 2007. The Chandra X-ray image has been adaptively smoothed. 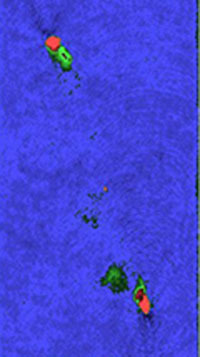 Radio contours are from a 1.4 GHz map. The data for this page were last modified on Fri Dec 13 14:59:26 2013.